Come out with your family, friends, and colleagues and enjoy a hilarious evening! 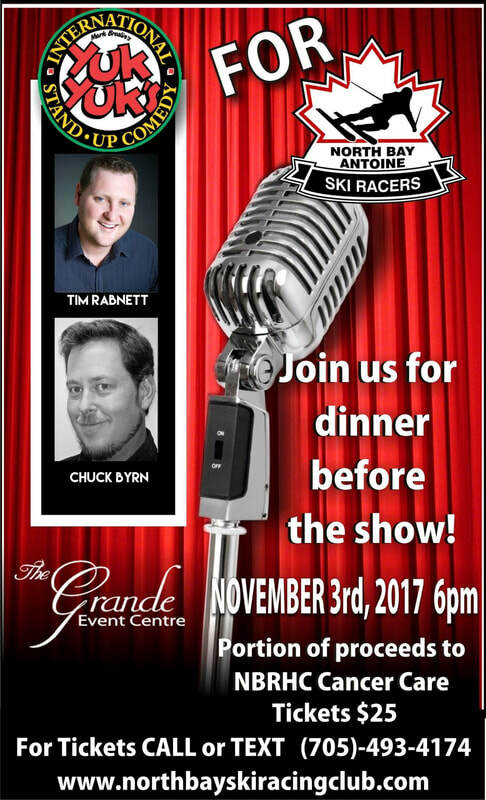 Support the North Bay Antoine Ski Racers with good laughter and cheer! We have received tremendous support from many different community partners over the last several YukYuk's nights. In recognition of this, we are going to donate a portion of the funds raised from this event to the NBRHC Paediatric Ward. Tickets are $25, doors open at 5:30 PM, and the show starts at 8 PM. This is being held in the new Grande Events Center at Cecil's. It is sure to be a great night. Please call or text 705-493-4174 to reserve your tickets.